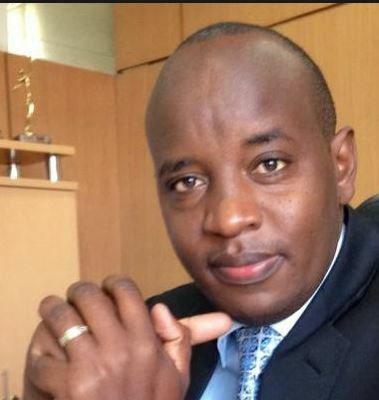 NTV Managing Editor Linus Kaikai is to be arrested. The Kenya Editors’ Guild is gravely alarmed over a developing trend by the government to gag or threaten the media over coverage of the current political events in the country. We have just learnt today that on Friday last week, a section of media managers and select editors from the main media houses were quietly summoned to a meeting at the State House, Nairobi, the objectives which were unknown. But the proceedings should be clear cause for alarm to the media and the public. The brief meeting attended by President Uhuru Kenyatta, Deputy President William Ruto, Interior Cabinet Secretary Fred Matiangi, ICT Secretary Joe Mucheru and AG Githu Muigai did not bode well for the freedom of expression and press in the country. At the meeting, President Kenyatta expressly threatened to shut down and revoke the licences of any media house that would broadcast live the planned purported swearing in of NASA leaders Raila Odinga and Kalonzo Musyoka on Tuesday. That direct threat has subsequently been echoed, off record by other senior members of government. The Guild is appalled by the details of the meeting which was held under an atmosphere of intimidation for the media representatives present. Chairman of the Media Owners Association Hannington Gaya this evening confirmed the tone of the meeting as a ‘dressing down’ in which the media was, quote; ‘read the riot act.’ This brazen threat is intended to intimidate the media from performing its rightful role of informing the public on matters affecting them. We would like to state it with all the clarity we can that the media is not an actor in the ongoing contest between Jubilee and NASA over the outcome of the last General Election. The Media remains a mere messenger and a chronicler of any events happening in our country. Our country’s vibrant media is made up of competent professionals in journalists and editors that continue to make sound decisions on what constitutes news, in public interest. Consequently, the Editors Guild condemns and rejects the threats and purported instructions issued at the State House on Friday. We call on all media houses and journalists to carry on their work diligently and to report impartially on all matters of public interest as they have always done. The government should also ensure that journalists are neither harmed nor intimidated as they perform their work on Tuesday and thereafter. We would like to remind the government to respect the freedom of the media guaranteed in Article 34 of the Constitution and the right of the public to information (Article 35) and desist from outdated methods of repression and to also respect the Bill of Rights. As the editors and journalists fraternity, we remain committed to professional ethics and credible editorial practices free from undue interference. Linus might be locked up at Muthaiga Police station.